The Jersey City law firm of Blume Forte Fried Zerres & Molinari helps clients injured by the negligence of others obtain compensation for their serious injuries and losses. Our attorneys have a strong record of accomplishment in such matters, whether the client was injured in a car accident or lost a loved one because of medical malpractice by a surgeon or doctor. Our NJ law firm has secured many million-dollar recoveries for our clients, more than any other firm in the state. To learn how we can help you obtain much-needed compensation, telephone Blume Forte at (201) 963-4711 if you were injured or if a loved one died because of another party’s negligence. Find out how we can help. We have an office conveniently located in Jersey City, so anyone in Hudson County can visit us for a free consultation. The common thread uniting these areas of practice is our focus on helping clients obtain justice after being medically or financially injured by another’s negligence in New Jersey. 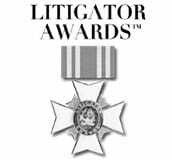 A number of organizations and legal rating organizations have recognized our attorneys. Many of the attorneys on our legal team have received certification from the Supreme Court of New Jersey in Civil Trial Law. This certification is given to lawyers who have completed the required number of continuing legal education (CLE) courses, who have passed a written exam, and who can demonstrate an unblemished reputation, among other requirements. In addition to being certified in Civil Trial Law, our attorneys and firm have been recognized by Super Lawyers, Best Lawyers, Avvo, Best Law Firms, and Martindale-Hubbell. 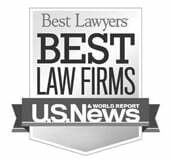 Although the listings or rankings are based on different criteria, together they recognize the significance of the firm in the Jersey City and Hudson County legal arena. If you or a loved one was injured, or if you lost a family member because of negligence, get help today. Call 201-963-4711 or use our online form to schedule your free consultation with a Jersey City lawyer at Blume Forte Fried Zerres & Molinari. Jersey City is the county seat of Hudson County and the second-largest city in New Jersey, with a population of around 271,000. The Jersey City population is growing, after a significant decline that began in 1930 and lasted until 1980. Jersey City is one of the most ethnically diverse cities in the world. Jersey City is sometimes known as “Wall Street West,” reflecting the large number of financial jobs in the city. Other major Jersey City industries include shipping, transportation, and food processing. Jersey City is home to several landmarks, including the largest clock in the world, Loew’s Jersey Theater (the only Loew’s Wonder Theater outside New York City), and the White Eagle Hall, another historic theater. The National Register of Historic Places lists more than 50 buildings in Jersey City, including multi-building districts like the Hamilton Park Historic District and the Harsimus Cove Historic District.